I am picky about my drinks. Before we go out for cocktails, I always scope the menu for something that has the following: vodka (or tequila, but only in margaritas) and ingredients I can pronounce and could identify in a lineup. My go-to drinks are: moscow mules, lemondrops, strong margaritas, and comsopolitans (lavender and coconut variations welcomed). I don't mind taking 1-2 tiny sips of Ben's whiskey or rye (neat) and I can tolerate about two sips of a gin and tonic on a very hot day when I am feeling preppy. 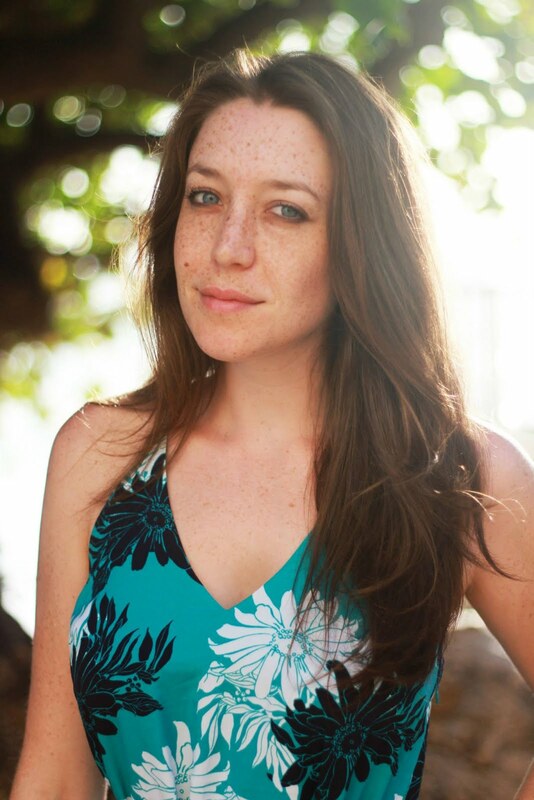 I can't and won't drink rum, I really dislike warm alcoholic beverages, and don't do the too-sweet realm of drinks. As for ingredients, lemon, lime, cranberry and ginger are good to go, but anything else always worries me. I have a phobia that I'm allergic to various foods. I know, I'm weird. First, carve up your honeydew melon into really fun little balls using a melon baller (you can get one at Safeway). 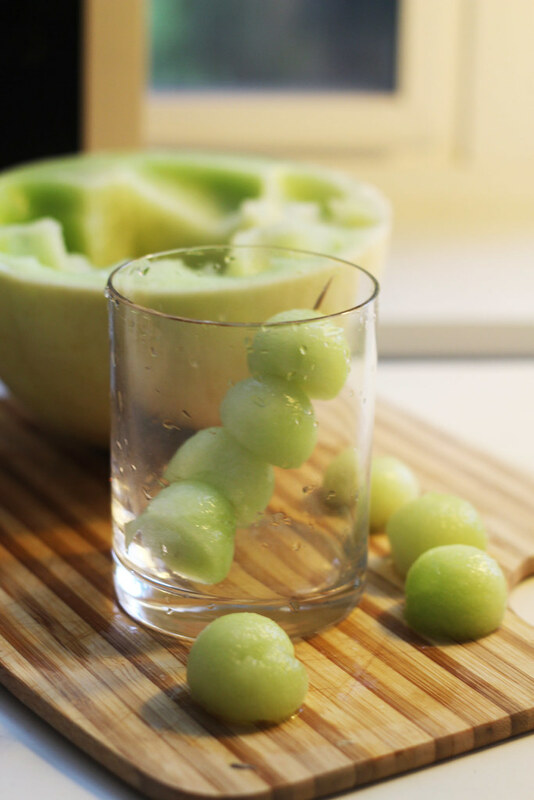 Skewer the melon balls and place them in an empty martini glass. 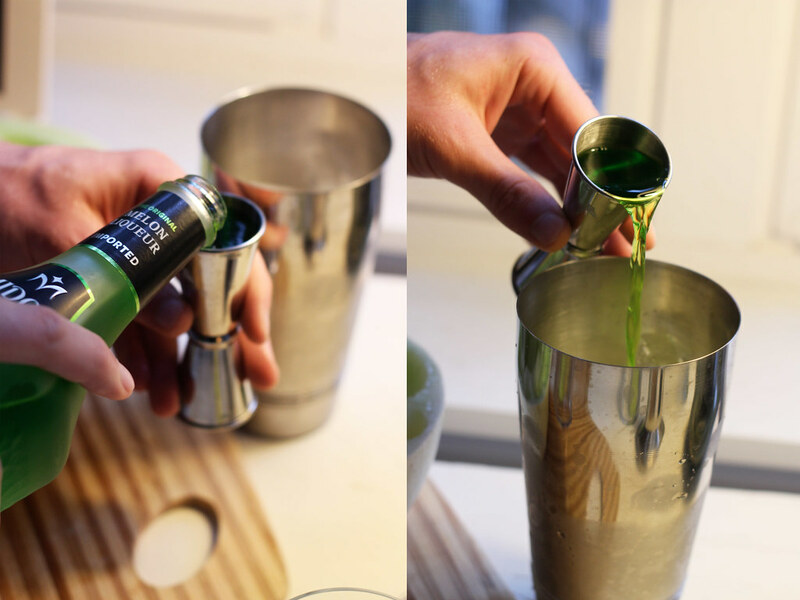 Next, fill a shaker with ice and add two parts midori to one part vodka (that means 2 shots midori and 1 shot midori for one drink). Shake it up and pour it into your glass. Top off your glass with orange juice (used above) or your choice of fruity beverage. 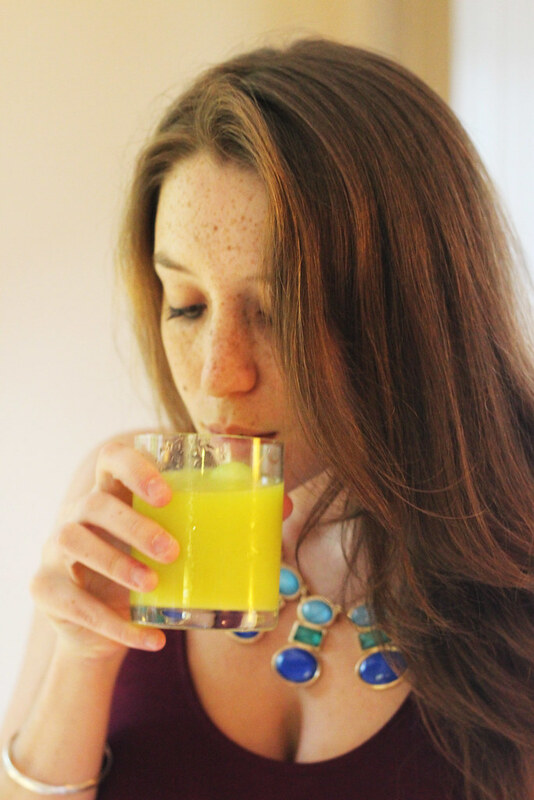 *As a warning, don't get the "more pulp" OJ for this beverage, it's kinda weird. 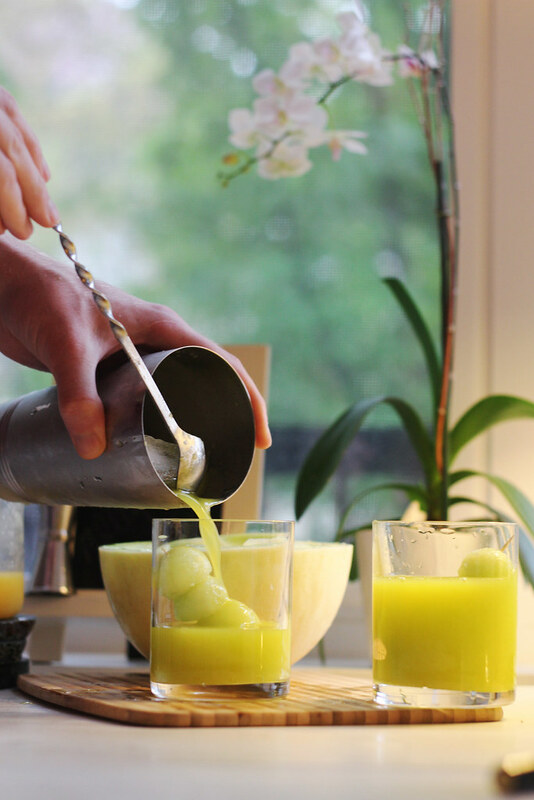 Lemonade also makes a super sweet melon ball. 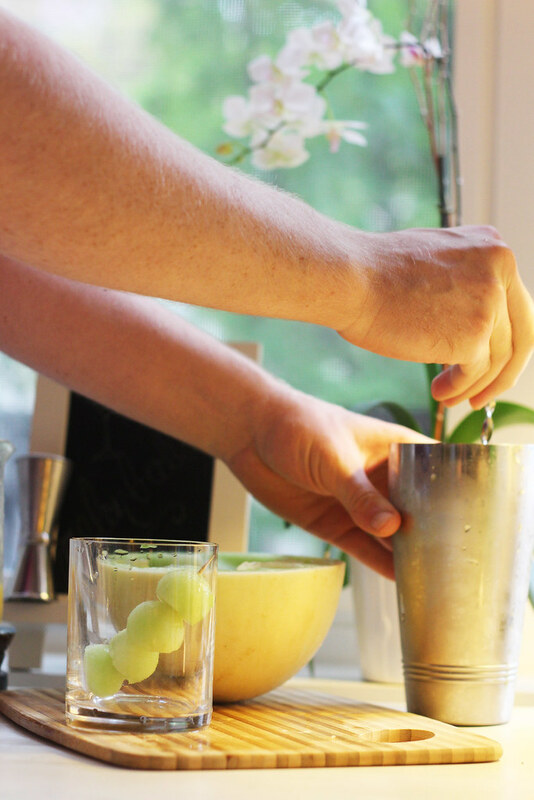 Love melon ball cocktails, makes a great shot concoction too! (From my college bartending career:) Love the pics! yum! i want to try this at home <3 thanks for sharing! That sounds yummy and refreshing! Oh my gosh. This looks AMAZING. Definitely trying this! That looks good! I love a good cocktail. Will try for an upcoming girls' night. OMG the drink is amaizing!!! We have similar tastes in drinks. Although on a rare occasion, I will drink whiskey. It's the Wyoming in me. This sounds and look so delicious!! Looks so nice！！ Wish i can do it!! Margaritas (on the rocks, salted rim) are my go-to drink. 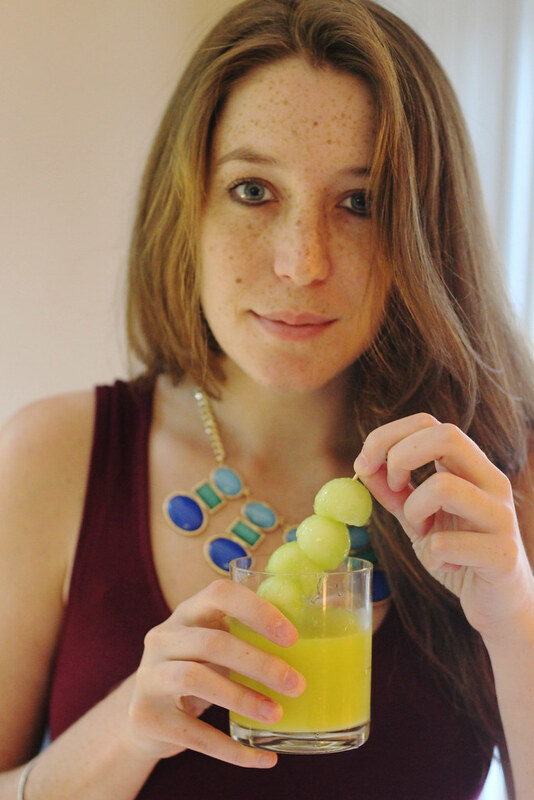 :) Those melon balls look so refreshing and delicious! Yum.